LeRoy Francis Penas, age 81, of rural Glencoe passed away on Thursday, January 11, 2018 at Hutchinson Health Hospital. He was born in Glencoe, MN on August 25, 1936 the son of Frank and Emma (Zaruba) Penas. LeRoy graduated from Silver Lake High School. He honorably served his country in the United States Army. On October 10, 1964 LeRoy Penas and Judith A. Cantin were joined in holy marriage. God blessed their marriage with three daughters. 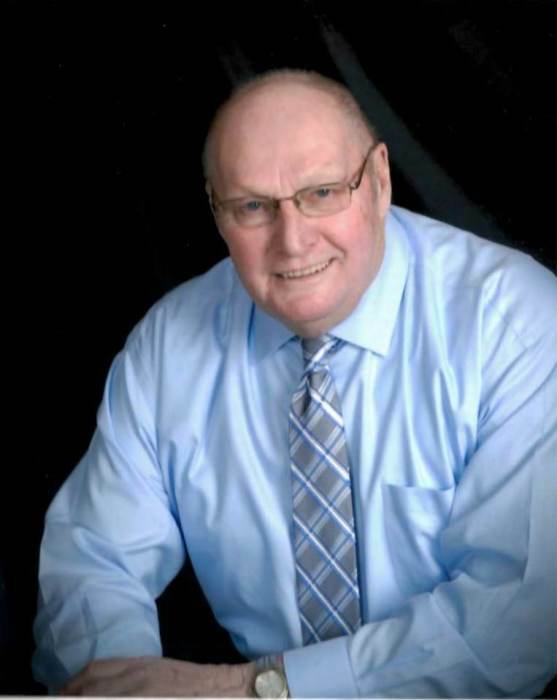 He engaged in dairy farming on the family farm in Rich Valley Township, McLeod County until his retirement 10 years ago. He continued to have an avid interest in farming even after retirement. LeRoy was a faithful member of Holy Family Catholic Church in Silver Lake and sang in the Holy Family Choir. He also belonged to the Degree of Honor, Knights of Columbus Council # 1841 and American Legion Post # 141. Survived by his loving wife Judy; daughters Lee (Steve) Penas-Olson of Burnsville, Jodi (Ron) Phillips of Centerville and Barb “BJ” (Tracy) Jaskowiak of Glencoe; grandchildren Sydney, Alex and Anna Phillips, Erin and Mitchel Jaskowiak; siblings Elaine (Jerome) Hemerick and Val (Bob) Shamla all of Silver Lake and Ron Penas of Glencoe; other relatives and friends. Preceded in death by his parents, grandson Ben Jaskowiak, parents-in-law Melvin and Irene Cantin and sister-in-law Jean Penas. Mass of Christian Burial for LeRoy Penas was held on Monday, January 15, 2018 at 10:30 AM at Holy Family Catholic Church in Silver Lake. Father Paul Schumacher was the Celebrant with Holy Family choir providing music accompanied by Alice Nowak. Interment with military rites followed at Holy Family Cemetery. Visitation was held Sunday, January 14, 2018 from 4-7 PM at Maresh Funeral Home in Silver Lake. Knights of Columbus Rosary was recited at 5 PM, Degree of Honor Service held at 6:15 PM and Parish Prayers at 6:30 PM. Honorary Casket Bearers were LeRoy’s five grandchildren: Sydney, Alex and Anna Phillips and Erin and Mitchel Jaskowiak. Casket Bearers were Mark Krcil, Mike Krcil, Randy Vasek, Bob Penas, Brad Shamla and Mark Hemerick. Memorials are preferred to the Restoration Fund of Holy Family Catholic Church. Maresh Funeral Home, Silver Lake, MN served the family.